Bank clerks, hotel receptionists and assembly line workers might eventually be replaced by technology because their roles are structured and repetitive in nature. For those in higher education, there is the reassurance that teaching students, grading assignments and undertaking research require the services of a living, breathing academic. A permanent position is still exactly that, isn’t it? In 2016, Ashok Goel, from the Georgia Institute of Technology, introduced a new member of his teaching team, Jill Watson. Students loved Jill. She would answer questions quickly, politely and with the occasional jaunty “Yep!”. She would sometimes say something a little odd, but don’t we all? Because Goel didn’t initially tell his students that Jill was in fact an AI system, he was forced to add a short delay to her responses. Otherwise, her students might notice how much quicker she was at answering questions, even in the middle of the night. Jill Watson’s status as a teaching assistant should sound a salutary note for those of us in higher education. There is widespread acceptance that human jobs will be lost to technology. For understandable reasons, we convince ourselves that the axe will fall elsewhere and will fall gradually. Perhaps this optimism bias flows from a tendency to focus on the nuance and subtlety of what we do and to disregard the monotonous regularity of many aspects of our work. Recently I met a board member from one of the world’s largest technology firms who confidently predicted that innovations such as AI would mean that higher education would be unrecognisable within a decade. That person might be wrong, but as robots, and the underlying technology of artificial intelligence, improve, academia seems ripe for reinvention. Just consider that by 2020, it is predicted that the number of students in higher education in China and India combined will have breached 60 million. A booming sector combined with the potential for technological disruption has left some UK university leaders feeling anxious, with the annual PA Consulting report on vice-chancellors’ sentiments suggesting that the sector could be facing a stormy period. In terms of both the structure of our industry and the underpinning assumptions we make about models of delivery, such stormy conditions demand a rethink. Edward Peck, the vice-chancellor of Nottingham Trent University, recently argued that the UK needed to move beyond a familiar but outmoded hierarchy of universities to celebrate more fully the achievements of our teaching-intensive, research-active universities. Many of our post-92 universities have made significant strides in infrastructure, pedagogy and widening access, yet Peck notes that they still lack the cachet of elite Russell Group universities. A diverse sector comprising different mission groups pursuing different audiences might, of course, be an indicator that our higher education ecosystem is in rude health. Yet collectively, the strategic plans of UK universities are focused on growth underpinned by significant financial commitments to new and shiny buildings that largely reinforce traditional ideas about lecture theatres and laboratories. UK universities offer success stories in both importing and exporting. International student recruitment has been challenging given the policy context, but significant numbers of applicants still want to study here. Matching this inflow are growing numbers of transnational arrangements and overseas campus locations where UK universities are exporting to the world. What we haven’t seen yet are global brand names setting up in earnest in our own backyard. There’s an awareness that this could happen and a recognition of the threat that more private provision might represent, but little concrete action to address this. 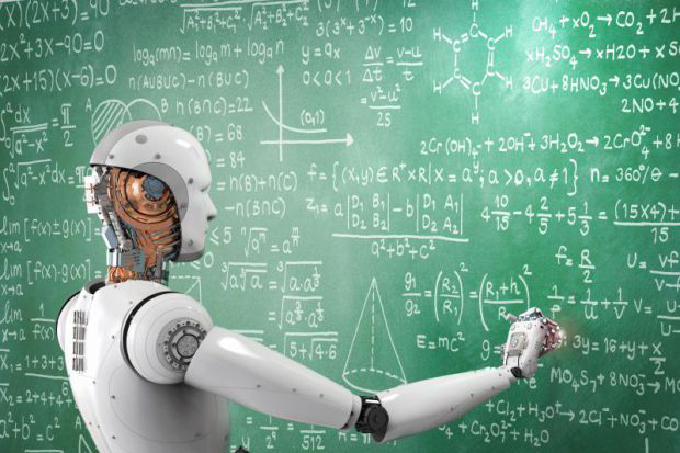 Perhaps UK vice-chancellors are right to be a little worried, but those outwith the sector see huge opportunities to deploy AI in ways that personalise learning economically and at scale. On any given day, in subjects such as business, engineering and mathematics, there are probably hundreds of academics teaching roughly the same material to hundreds of roughly similar groups of students in lecture theatres around the globe. Universities aren’t well positioned to dominate the market for the learning materials being used because no university wants to adopt a competitor’s intellectual property. Corporations, however, might plausibly find ways to license the Jill Watsons of the near-term future. Several blue-chip giants have both resources and insights (drawn from a sea of user data on staff and students alike) and would be well placed to offer lower-cost, engaging, personal and efficient learning experiences. There are both institutional and individual consequences of this line of thinking. Institutionally, universities need to consider their long-term plans in the face of short-term uncertainty. New buildings and high-quality academic staff are currently the mainstay of our answer to the question “why study with us?” Whether the new buildings and the wonderful staff remain as compelling when remote study, supported by AI or bots, offers similar knowledge at a tiny fraction of the cost, is open to question. Indeed, it is a question that is being posed by charitable bodies such as the Bill and Melinda Gates Foundation. As individual academics then, we need to ask a more Machiavellian question. What can we do that AI cannot? When it comes to imparting knowledge, Jill Watson has shown that AI is already reasonably sophisticated in the role of teaching assistant. Tutors might, therefore, attain endangered species status in all but the Oxbridge model of individual attention. In the lecture theatres (be they real or virtual), however, academics need to focus on the things that AI cannot handle. There’s a reason why many stand-up comedians ask members of the audience “and what do you do for a living?” early in their show. They’re not playing for time. Rather, they’re setting up the opportunity to improvise around some established material. Connecting pre-set gags to spontaneous observations about Joyce the plumber or Joe from accounts makes the room come alive. The ticket money seems worthwhile because you are watching a performance that is very much “in the moment”. The jeopardy of this crowd work and the concomitant risk of being heckled piques the audience’s interest. Skilled comedians then use callbacks to reincorporate earlier observations to produce an effect that is both cumulative and bespoke to this show, this evening and this place. Perhaps the future for academics is to embrace the support that AI teaching assistants can offer us outwith the classroom while feverishly working to develop the performative aspects of our lecturing. Video capture and podcasting are all very well, but they aren’t live theatre. Author Bio: Robert MacIntosh is professor of strategic management at Heriot-Watt University, in Edinburgh, where he is also head of its School of Social Sciences.